Sentral IT provides corporate and personal customers with quality, built to order, storage solutions. We offer a full spectrum of scalable & fault-tolerant NAS, DAS, iSCSI SAN, backup and custom rackmount storage servers. Our storage servers are compatible with industry leading software solutions including Microsoft Windows, VMWare ESX & ESXi, Citrix and Linux. A full list of the products can be viewed through the navigation links on the left of the page. Open-E®, Inc is a leading provider of unified file and block storage management software solutions. The Open-E Data Storage Software (DSS V7™) offers support for Network Attached Storage (NAS), iSCSI, InfiniBand and Fibre Channel SAN (Storage Area Network) functionality all in a single, easy to use storage application. 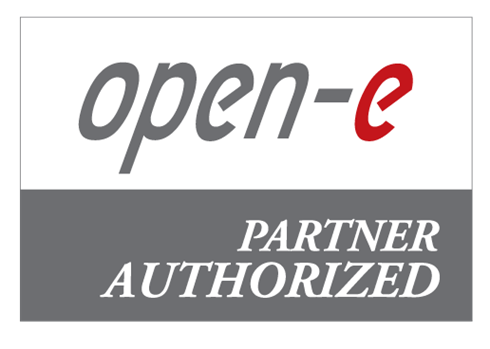 Open-E DSS also provides, Automatic Failover and Failback for high-availability, Remote Mirroring for disaster recovery, WORM (Write Once Read Many) support for digital archiving, and NDMP (Network Data Management Protocol) support for universal backup - ensuring better data security, increased fault tolerance, and improved availability of all data, ultimately delivering better overall performance and value. Open-E DSS V7 supports up to 32 CPUs to increase the I/O throughput for heavy duty data requirements. Software is capable of using the Simple Network Management Protocol (SNMP) interface for communication with other SNMP-enabled servers (e.g. Open-E DSS). Open-E Data Storage Software is increasingly being used as the software for cloud storage. With OnApp cloud software and Open-E DSS, it’s easy to set up different kinds of hosted cloud services, including “by-the-hour” public cloud hosting, and Private Clouds. Open-E Data Storage Software offers a simple and dependable solution which will allow you to secure and restore data with minimal interruption to your workflow. There is the choice of using the built-in backup and restore capabilities or using utilizing commercial backup clients already integrated into Open-E DSS V6, like Veritas, EMC Dantz, and CA BrightStor. Failover is an excellent way to implement High Availability. It is a work mode using two Open-E Data Storage Software V7 servers (primary and secondary). Application server data is vital for every company. Open-E Data Storage Software V7 is a very effective, economical approach allowing Disaster Recovery. It is a simple tool available for every size company. Replication is possible within one system, on a local network (LAN) or over a WAN. Storage centralization, centralized management, and consolidation are challenges that all companies must face - small, medium and large ones. Open-E appliance work well with all popular virtualization platforms offered by VMware, Citrix and Microsoft. The software provides NAS and SAN including support for SMB/CIFS, NFS, iSCSI and Fiber Channel. Businesses with growing storage needs and limited resources need a Networked Storage Solution that streamlines data management operations. Network Attached Storage (NAS) Servers are the easiest and most cost effective way of adding Storage to your network. The complete Sentral line of NAS appliance solution allows the benefits of a feature-rich, high-performance NAS without the high cost of ownership. Windows Storage Server 2008 R2 delivers simplified deployment and management of individual appliances and dual-node, highly available storage clusters. Microsoft Windows Storage Server 2008 R2 delivers a cost effective, reliable, and scalable solution to address challenges on how file data is accessed, moved, and managed. The amount of data supported within the organization continues to grow every year, pushing conventional storage requirements to their limits. WSS 2008 R2 provides the platform to meet the storage demands of today’s businesses. Servers and files are typically widely distributed across an organizations LAN/WAN. Windows Storage Server 2008 R2 file services enable you to provide better access to files while increasing the efficiencies of storage management requirements. Regardless of platform or location, data is more quickly accessible and easier to manage. Windows Storage Server 2008 R2 file services provides better controls to keep unwanted data out, and improved management tools to take better care of the data that you want in. These tools help centralize management and reduce administrative overhead while simultaneously providing insightful information on the file infrastructures. These insights help you to more efficiently deliver on file services availability and compliance requirements. An organization is able to continue operation based on its ability to maintain profitable levels of productivity. Managing growth through the most cost-effective methods is the key to expansion and increased business volume. Windows Storage Server 2008 file services help you to expand departmental IT services and support a growing base of users affordably and efficiently. QSAN is the world’s leading provider of hardware iSCSI controller manufacturer focusing on iSCSI IP SAN and targeting at small and medium businesses (SMB) worldwide. Qsan products are designed and positioned to respond to leading storage technology trends (e.g. iSCSI, SAS, FCoE) as well as customer requirements (e.g. business continuity). Based on the vision "making data smart", Qsan's technology is aimed to make business data smart enough to be always available under any unexpected circumstances, efficient enough not wasting any IT investment, and easy retrieval during the whole ILM (information lifecycle management).